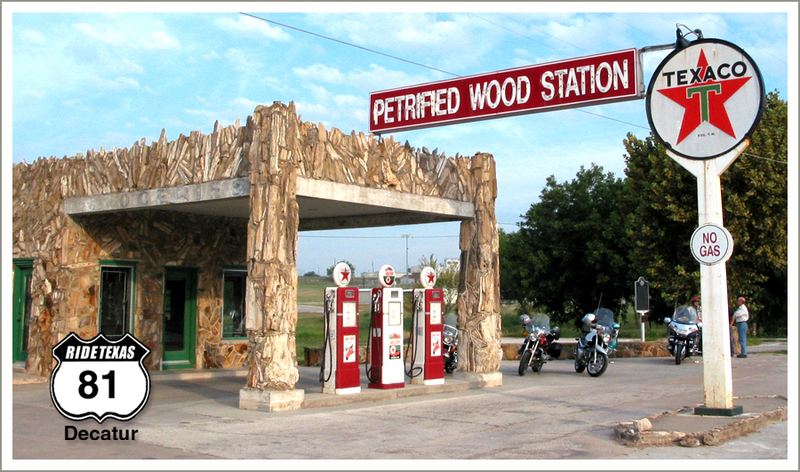 Petrified Wood Station in Decatur, Texas. Photograph by Tom Wiley. Before the interstate highway system bypassed the main streets of small town America, there was a thriving tourist trade among businesses offering roadtripping travelers places to buy gas and eat a hot meal. In order to attract travelers these businesses often used unusual architecture and sights to get people to stop, linger and buy. It’s claimed that the cafe, now called The Whistle Stop, is still in operation. The Texas Tourist Camp is listed in the National Register of Historic Places. 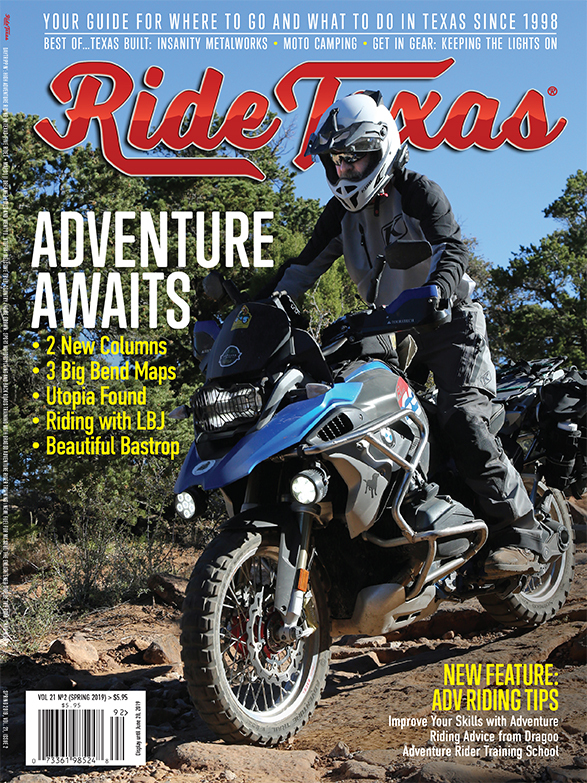 If you like exploring the back roads and byways of Texas, we hope you’ll consider subscribing to RIDE TEXAS®, an independent quarterly travel journal for the roads and small towns of Texas.